I recently spotted an awesome deal on one of those deal websites for the site mentioned above and snatched it up because it was too good to pass up. The deal was for 1 month of TeethMe super cheap and anything that is a bargain has my name written all over it. 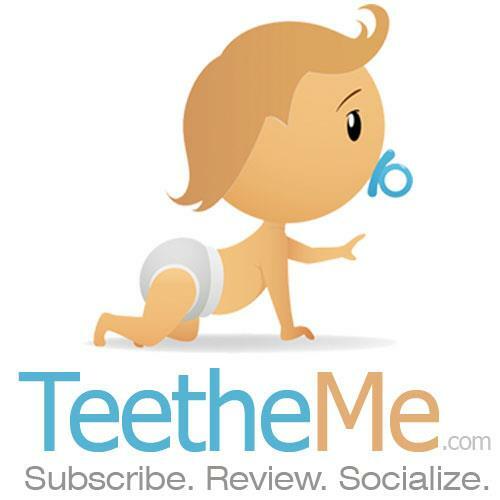 I am already a member of another site which is completely amazing and quite similar so I figured what was the harm in checking TeethMe out. I signed up, it was super easy and then I waited. My 1st month's box came and I was disappointed to say the least! There was barely anything in this box and no I didn't grab a picture of it unfortunately but let me tell you what I got...a bib, a sachet, a teething ring necklace and a sink faucet extender made by a nice company called Aqueduck. Now I must say that the other company I am with spoils it's subscribers, their boxes are always packed so when I opened this one it was a letdown by comparison...maybe I would have liked it if I had not been so pampered by the other company, who knows. Right before this box had arrived I had gotten an email saying I was sent the wrong age group's box and that a new replacement box was on its way. The email was so kind and helpful that I quickly forgave them. Wonderful and friendly customer service wins me over any day of the week. Finally my treasure arrived at my door step so I scooped it up, took inside and that very moment sliced the tape open to rifle through its contents. I was very happy, this box was packed and with some great stuff! The items inside were definitely worth the price that somebody would have paid in full for this box. My only gripe? The nurtureme foods were sandwiched up between the sachet and candle so the scents leached into the packets and I don't know if it would even be safe to feed these to my child so those are a loss. If it were me I would have packaged the foods in a separate type of container or screwed the lid on the plate with the foods inside. Overall, this box is lovely and I wish I could stay a subscriber for longer to see what other surprises could be in store...alas I love my other company and will stick with them for the time being. 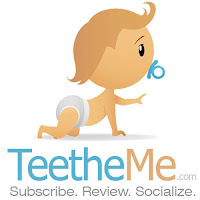 I do recommend TeethMe but as always, be cautious about what you buy and if it is not up to your standard then by all means write the company and/or cancel.